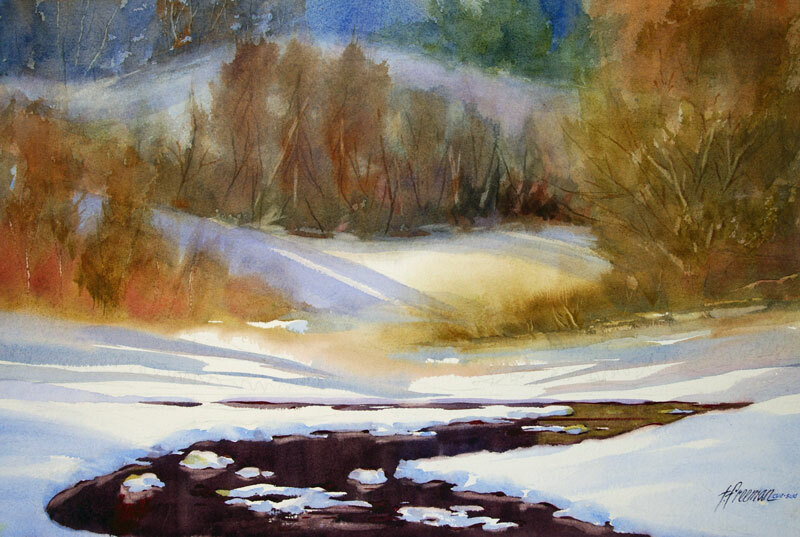 Thomas Freeman Original Watercolor Painting: "Snowfall at Blackwater Creek"
Raised in the Midwest, I've been a Californian for so long I had to strain to remember what snow looked like. Here the creek was masked before painting since there was lots of detail in the water. I liked the shadows from the wan winter sun.